Record interviews from anywhere in the field with CaseCracker Onyx Portable, which includes a slim laptop and high-definition wide-angle camera designed with portability in mind. Designed with smaller organizations in mind, CaseCracker Onyx Lite features a compact server design and high-definition IP cameras that are perfect for any size agency. 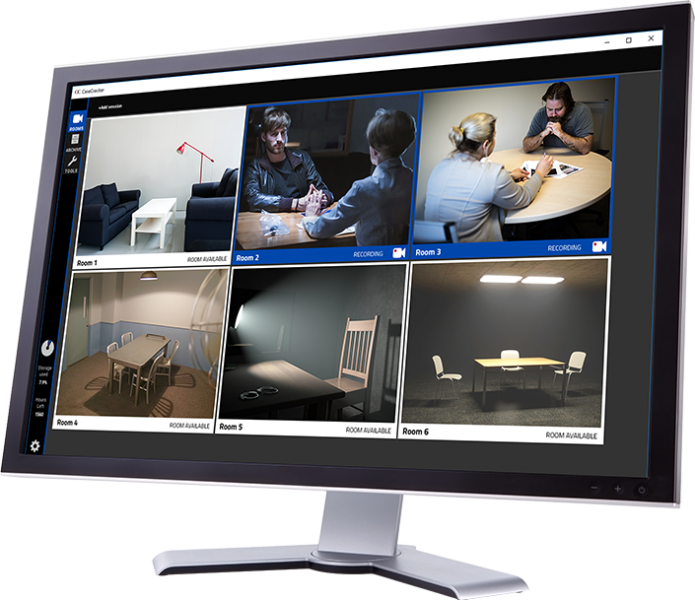 Ideal for customers with four or more interview rooms, CaseCracker Onyx Enterprise is designed with a high-capacity server and high-definition IP cameras to meet the requirements of larger agencies. 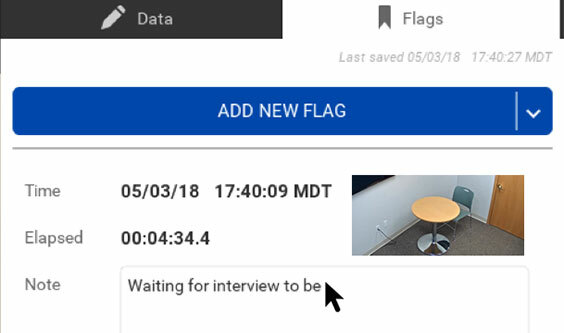 Maximize department efficiency with the security-style rooms view that allows you to monitor all your interview rooms at once. 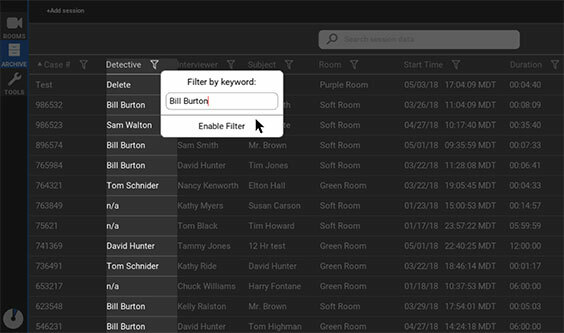 With simultaneous, continuous updates from every room, you can track activity and room availability all from one location, in real time.